A Newberry College education reaches beyond classroom walls, city limits, pre-conceived notions of higher learning, and definitions of success. A Newberry education is a personal challenge to every student in pursuit of knowledge who possesses the drive to live and learn with purpose. It is a new model for education – a living and learning community that transforms study into action through personal and professional interaction. If you are excited about the diversity of life, all the way from cells through ecosystems, then Biology may be the major for you! 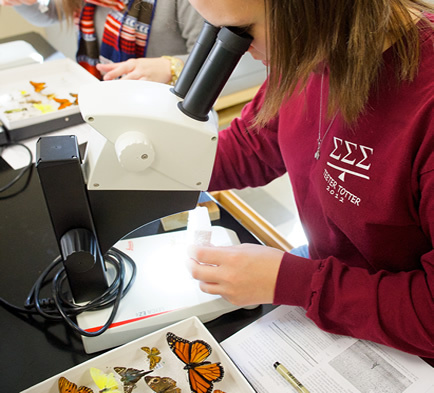 Students in the Biology program have the opportunity to study at so many levels. Our graduates are prepared for all types of life science careers, including research scientist, teacher, technician, and a wide variety of health-related professions. Our programs are expanding and diversifying with the additional of two new concentrations: Environmental Studies and Forensic Biology. A majority of our majors are interested in a health science career. These students need to complete a pre-professional curriculum then be accepted into a graduate program. For more on pre-professional tracks in the sciences, click here. Since its development in the 1980s, Forensic DNA analysis has exponentially impacted law enforcement’s ability to solve crimes. Perpetrators who would have never been identified are apprehended daily by means of national databases of arrestees and convicted offenders. State, federal, and private laboratories need qualified employees to perform this important testing. The Forensic Biology concentration will provide students the opportunity to meet the federal educational requirements for DNA analysts and gain laboratory experience in DNA testing. The college has a strong working relationship with the SLED laboratory and will continue to provide the opportunity for internships. Well trained secondary level teachers of Biology continue to be in demand and we can fulfill that goal through our Secondary Education concentration. Our department offers a prescribed program of courses for students who wish to become certified as secondary-level biology teachers. This curriculum requires the completion of both science and education courses. The Environmental Studies concentration was developed as an outcome of the environmental movement. A growth in federal regulations to improve the environment has subsequently increased the value of environmental education in the country. Environmental principles and concepts of this concentration can be used through a variety of applications including natural ecosystems, human impact on nature, and human health. Students can then be ready for jobs in the environmental field or for application to graduate school. Newberry College has a dual-degree program with Duke University in Forestry and Environmental Management. Students who attend three years at Newberry College receive a B.S. degree in Biology from Newberry College upon successful completion of one year at the other institution and a degree from the cooperating university or institution after completion of the specialized degree program. 1. 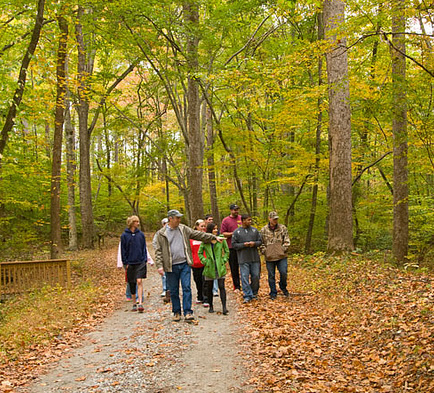 Demonstrate an understanding of nature and its impact on humans. 2. Apply science and technology in classwork and in real-world situations. 3. Properly collect and analyze scientific data. 4. Communicate effectively, both orally and in writing. 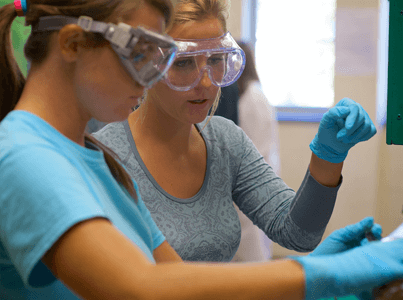 The Newberry College Chemistry Program will teach the skills and knowledge needed to be successful in scientific, medical, and larger communities. Graduates will be able to work safely and ethically both individually and in a group setting, be able to work effectively in a laboratory, and be able to communicate scientific concepts. A degree in chemistry can open the doors to many career opportunities. For more about these and other career options, go to www.acs.org. 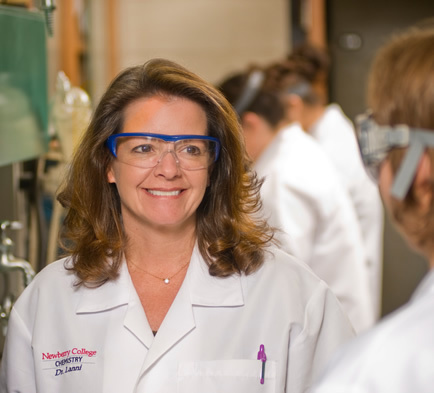 The study of Chemistry at Newberry College offers opportunities for students to learn through experiential and active learning environments. Graduates will have a strong background in inquiry-based science and critical thinking skills, providing them with skills to be competitive in the job market, professional programs, and graduate school. Students are introduced to the principles and applications of modern chemistry and provided extensive practical experience with research-quality instruments. Currently our undergraduates operate a GC, HPLC, FT-IR, UV-VIS, NMR, TGA, ICP-MS, and GC-MS, and all of these are used by students throughout their 4 year curriculum and in independent research projects. Participation in the Newberry College American Chemical Society (ACS) Chapter benefits and supports students who want to pursue a career in chemistry. Students serve and develop leadership skills. Members of the nationally recognized Newberry College ACS Chapter routinely attend local (Chemistry of Brewing), regional (Atlanta, Nashville) and national (New Orleans, Denver) conferences. Get involved with the Nationally Award Winning Newberry College American Chemical Society Student Member Chapter – 2013/2014 Green Chemistry award; Commendable Award. All of our concentrations provide the student with a BS chemistry degree based on American Chemical Society (ACS) standards which give students the training needed for graduate school in chemistry-related fields (forensic, physical, inorganic, organic, analytical, environmental, biochemistry) or for those entering the work force immediately after graduation. The concentrations allow the students to specialize. The specific requirements can be found in the college catalog. General, organic, analytical, physical, biochemistry, inorganic chemistry, seminar, laboratory safety, physics, biology, and calculus. Elective courses in research, internship, investigative chemistry, lab development, scientific glassblowing, structural organic, instrumental analysis, biochemistry II, advanced biochemistry, physical chemistry II, and environmental chemistry also are available. (78 hours including 4 courses in Forensic topics and an optional forensic internship.) Dr. Steve Lambert, Director of Forensics, had 19 years of experience in the Forensic DNA laboratory at the South Carolina Law Enforcement Division (SLED) before joining the Newberry College faculty in 2012. The Forensic Chemistry concentration is the first of its kind in South Carolina, Georgia, and North Carolina. Forensic Chemistry courses provide students with the opportunity to solve simulated cases and then defend their results, as if they were practicing professional forensic chemists. In addition to classroom and laboratory courses taught on the Newberry College campus, students will have ample opportunities for internships and job shadowing at a variety of sites within South Carolina, including the State Law Enforcement Division (SLED) offices in Columbia. (100 hours including 10 courses in educational topics to prepare students for teacher certification.) Through funding from the National Science Foundation (DUE-1439839), REMAST Scholarships of $10,000 - $30,000 are available for students seeking a secondary education concentration. Dr. Laura Lanni, Science Education faculty, joined us in 2011 with 7 years of experience as a polymer chemist and 11 years of secondary education experience at Dutch Fork High School. Chemistry major with Secondary Education concentration provides the degree to fill one of the most critical needs areas in the nation-highly qualified math and science teachers, particularly Chemistry teachers. The concentration is designed as Chemistry major, so the student may pursue any pathway of a traditional Chemistry major with the versatility to also teach chemistry in high school, therefore increasing the student’s marketability in this economy. (100 hours including 3 courses in Biochemistry topics and optional research.) Chemistry major with biochemistry concentration is extremely beneficial to our chemistry majors, so they can develop expertise in methods used for DNA analysis. Moreover, students in pre-professional fields of study (medicine, dentistry, pharmacy, etc), will benefit from these courses, as biochemistry is at the forefront of biomedical research. Preserving the world’s forests is a critical task, and Newberry College presents a unique approach to attaining entrance to this important profession. The College offers a cooperative program with Duke University in Durham, North Carolina, in the areas of forestry and environmental management. The Forestry and Enrvironmental Science program is offered in cooperation with Duke University. Students may earn both a bachelor's degree and master's degree in five years, spending three years at Newberry College and two years at Duke University School of the Environment and Earth Sciences. Students must fulfill all the general requirements by the end of their junior year at Newberry. The first year's coursework at Duke will complete the undergraduate degree requirements for a B.S. degree with a major in Biology awarded by Newberry College at the successful completion of that year. Duke University will award the professional degree of Master of Forestry (MF) or Master of Environmental Management (MEM) to qualified candidates at the end of the second year at Duke. Student must earn a minimum grade of 2.7/4.0 and receive a B-minus or better in order for these classes to count toward the master’s degree prerequisite. Formal application for admission also must be made to the Duke University School of the Environment. While at Newberry College, students must complete a rigorous program of biology, chemistry, mathematics, and economics courses, their Core Curriculum, 18 Fine Arts and Lectures events (3 per semester while at Newberry College) and at least 90 credit hours of courses. Some students may prefer to complete the bachelor's degree before undertaking graduate study at Duke. The master's degree requirements for these students are the same as those for students entering after the junior year, but the 60-unit requirement may be reduced for relevant undergraduate work of satisfactory quality already completed. All credit reductions are determined individually and consider both the student's educational background and objectives. Students electing the Forestry and Environmental Management program of study should confer early in their college careers with the Biology program chair regarding which courses they should take each year in order to avoid schedule conflicts between some of the required courses, and when they should make formal application for admission to the Duke University School of the Environment and Earth Sciences. Students in Health Science explore how science and medicine impact global issues in health. The Health Science major is ideal for students interested in health-related careers but who don't require the specialized focus of other science majors. The Health Science major offers a broad-based curriculum that is ideal for students interested in health-related careers but who don't need the specialized focus required of other science majors. The major also s structured to satisfy the prerequisites for entry into most Allied Health programs. The Mathematics program provides a valuable experience in which mathematics majors learn to think critically, communicate effectively, and become life-long learners, as well as gain an appreciation for the intrinsic beauty and power of mathematics and its applications to other disciplines. The mathematics program offers students rigorous preparation to enter careers involving the application of mathematics, graduate school, or teaching secondary mathematics. "The top 15 highest-earning college degrees all have one thing in common—math skills." “The science of pure mathematics … may claim to be the most original creation of human spirit." Disclaimer: This site provides external links as a convenience to our users. The inclusion of external hyperlinks does not constitute endorsement by Newberry College of those websites or any products, services or claims contained therein. Apply multiple approaches and perseverance when proving theorems and problem-solving. Reason abstractly, quantitatively and recognize the importance and development of mathematics throughout history. Construct viable mathematical arguments and communicate mathematical knowledge and understanding both verbally and in writing. Use appropriate mathematical tools and technology for discovering and understanding mathematical ideas. Acquire in-depth knowledge of how mathematics can be applied in the student‘s choice of concentration or career. Through a capstone experiences during the junior and senior years, faculty strive to develop worthwhile internship and research opportunities to assist students in exploring career opportunities involving mathematics. For detailed information about the major and program requirements, see the Newberry College catalog. Through funding from the National Science Foundation (DUE-1439839), REMAST Scholarships of $10,000 - $30,000 are available for students seeking a secondary education concentration. Students who wish to become certified to teach in the public schools must complete the requirements for teacher certification and a major in mathematics with concentration in secondary education. 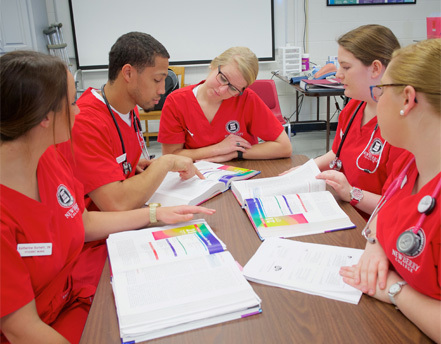 Newberry College is a great place to begin your studies toward many health professions, including Chiropractic, Dentistry, Medicine, Occupational Therapy, Pharmacy, Physical Therapy, Physician's Assistant and Veterinary Medicine. Students intending to prepare for any of the health and science progressional programs (Chiropractic, Dentistry, Medicine, Occupational Therapy, Pharmacy, Physical Therapy, Physician Assistant, Veterinary Medicine) should follow the course of study covering their respective pre-professional requirements as stated in the academic catalogs of the institutions where they plan to enroll. In addition to their major advisor, students will have a science faculty member assigned to them to help guide and counsel students who intend to prepare for entrance into these professional programs. Assistant Professor Valarie Burnett, Ph.D.
Assistant Professor Steve Lambert, Ph.D.
Assistant Professor Lindsy Boateng, Ph.D.
Students may major in any area as long as the necessary coursework for entrance into the pre-professional track has been completed. Many students choose biology or chemistry as their major due to the quantity of required coursework in these areas. Students should find out the necessary coursework through websites from the professional schools in which they are interested in applying. Your science faculty advisor will help you develop an individual plan for completion of necessary coursework; the science faculty have general four-year templates for each pre-professional track. Of importance for candidates to all professional health programs is the completion of two or three volunteer internship or job-shadowing experiences within the area of intended study. These show the professional schools that candidates are serious about their chosen future career path and have an understanding of their intended profession. Further, applicants are expected to have excellent oral and written communication skills. Chiropractic: Students interested in Chiropractic medicine must have completed 90 semester hours of coursework to be accepted with no required graduate exam. Dental: Dental school admission requirements include the Dental Admission Test (DAT). For more information about DAT content, click: http://www.ada.org/dat.aspx. Medicine: The recent trends in admission to Medical schools have been to reduce the number of courses required for admission. However, the standardized test, the Medical College Admission test (MCAT) is a criteria by which admission is granted. The MCAT is undergoing major changes during 2015. Scores reflect a student’s ability in four areas: biological and biochemical foundations of living systems; chemical and physical foundations of living systems; psychological, social, and biological foundations of behavior; and critical analysis and reasoning skills. For additional information about MCAT content, click: https://www.aamc.org/students/applying/mcat/mcat2015/. Occupational Therapy and Physical Therapy: The health professions tracks of Occupational Therapy and Physical Therapy both require the Graduate Record Exam (GRE). For more information about the GRE, click: http://www.ets.org/gre/. Physician Assistant: Most Physician Assistant graduate programs require at least two years of college courses in basic science and behavioral science as prerequisites. Pharmacy: The Pre-Pharmacy track prepares students for application to the clinical doctorate program in Pharmacy (PharmD). The South Carolina College of Pharmacy has campuses in both Charleston and Columbia (the two programs merged). A new Pharmacy Graduate Program at Presbyterian College (Clinton, SC) is on track for accreditation when its first class graduates. Veterinary Medicine: Veterinary Medical School admission requirements include either the Graduate Record Exam (GRE) (for GRE information, click: http://www.ets.org/gre/) or the Medical College Admission Test (MCAT). For MCAT information, click: https://www.aamc.org/students/applying/mcat/mcat2015/). South Carolina does not have a veterinary school, so South Carolinians must attend out-of- state veterinary schools. For tuition purposes, however, SC students may be considered as in-state residents at the University of Georgia, Tuskegee University (Alabama) and Mississippi State University. Q: How do I prepare for a professional degree as an undergraduate? Where do I start? A: The expectations include a specific minimum GPA, Experiential Learning opportunities (Internships, Research), required entrance tests, prerequisite course requirements, degree requirements, and choice of a major. Your Science Faculty Advisor will discuss each of these with you. In addition, a preliminary 4-year plan of study for each pre-professional track at Newberry has been created to assist you in developing your plan of study while at Newberry College. Q: How will Newberry College Help me prepare for professional school? The student organization, FMPA: Future Medical Professional Association, was created to provide students with opportunities for interaction with professionals and other students. 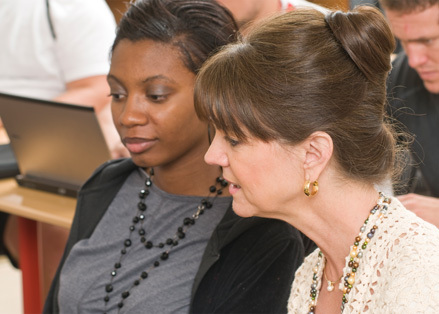 The Newberry College Board of Professionals provides students with an opportunity for interaction and networking to improve their professional school entrance applications. Specialty Advisors will guide you in preparing for your chosen pre-professional area and you will also have an advisor within your major. Q: What are my responsibilities for preparation? Communicate with your specialty advisor on a regular basis. Register and prepare for entrance exams at the appropriate time. Research the pre-professional programs, requirements, and expectations for the program in which you are interested. Plan time for internships, shadowing, research, and other experiences in preparation for the application process. Develop your individual 4-year plan. Q: How can I learn about volunteer projects and available internships? A: Students interested in a pre-professional health track are invited to join the Future Medical Professional Association (FMPA). This student organization offers many opportunities to: undertake volunteer projects; apply for internships; get helpful tips for both applications and interviews; participate in overall networking; and also have fun.